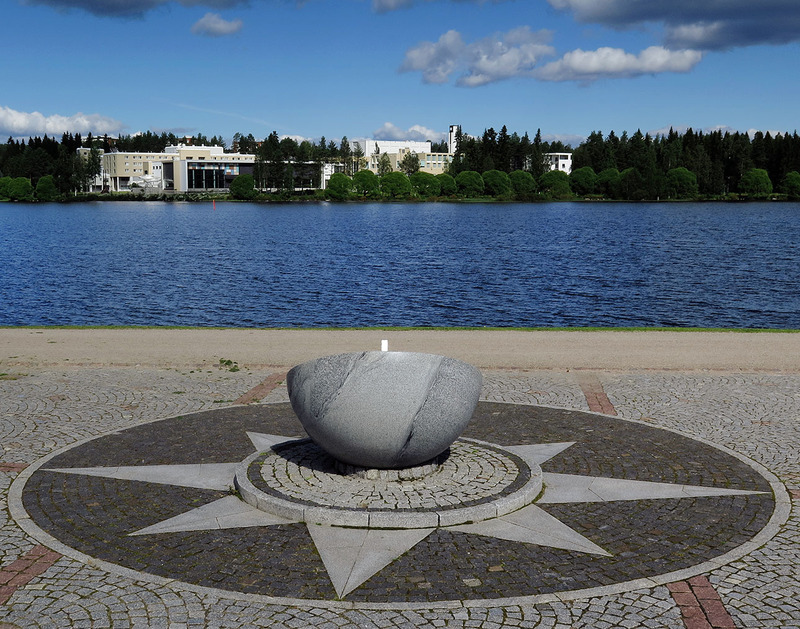 Use your Kajaani mobile guide to locate public monuments and memorials in Kajaani. In memory of those who succumbed to hunger during the Finnish Famine in 1866-1868. Johan Henrik Fieandt (1683-1741) was the last commander of the Kajaani Castle. He defended the Kajaani Castle for six consecutive weeks in 1716, against a Russian army of 4000 men. The memorial was unveiled in 19 August 2017. Given that sundials use light to indicate time, the sundial naturally only works on sunny days, from vernal equinox to autumnal equinox. This statue stands in honour of Armas Einar Leopold Lönnbohm, the poet known as Eino Leino, born on 6 July 1878 in Paltaniemi. Eino Leino spent his childhood in Hövelö, in the village of Paltaniemi. Originally, the idea was to bring out the statue in 1940, on the 100th anniversary of Lönnrot’s poetry collection Kanteletar, but the outbreak of the Winter War delayed the plan. The statue was then brought out while the Continuation War was still raging on. 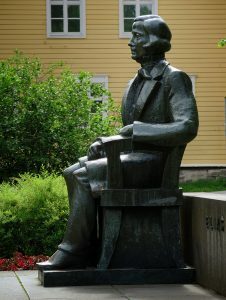 Elias Lönnrot worked as a district physician in Kajaani from 1833 to 1853 and travelled outside of Kajaani to collect his poetry. In 1835, he wrote the preface for Kalevala, the national epic of Finland, in Kajaani. This is the very first memorial erected in honour of a historical figure in Kajaani and the whole of Kainuu. 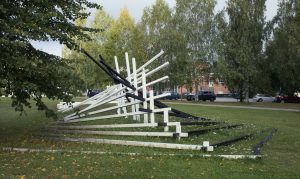 Unveiled in 1991, in memory of Karelian refugees and their long journey. The stone is of red granite, extracted from the village of Mursula in Impilahti. 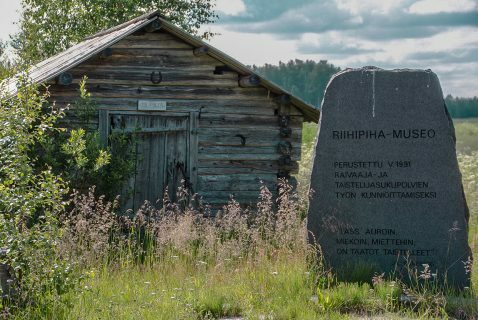 A memorial built in 1997 for a total of 34 soldiers who died in the Pirttijärvi battle on 13 March 1942, buried in the war grave. 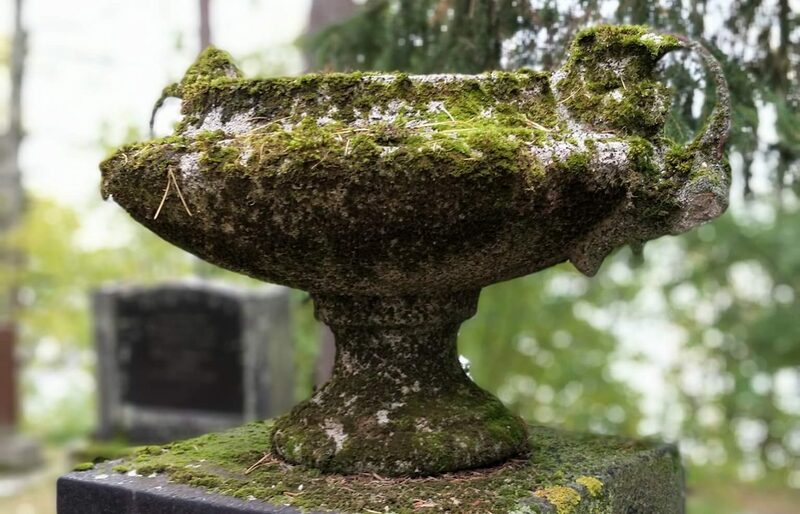 The deceased found in Russia were brought back and buried in their home cemetery. Heikki Savolainen participated in the Olympics five times, winning a total of nine medals. He took the Olympic Oath at the Helsinki Olympics in 1952. Dedicated to the first industrial entrepreneur in Kajaani, Herman Renfors (1849-1928). Herman Renfors, the most famous public figure in Kajaani in his time, started the industrial production of fishing equipment in 1872. Later, Renfors factories and workshops began manufacturing for instance buttons and skis. Herman Renfors was also involved in fur and leather trade and turned Kajaani into an international tourist attraction. Herman Renfors and his sister were well-known as avid photographers of the old Kajaani. 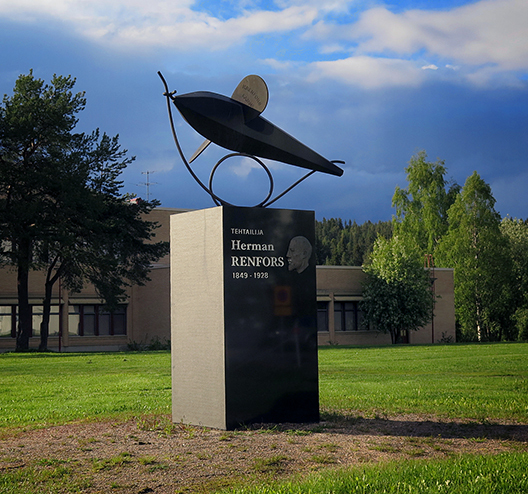 The memorial of Herman Renfors honours the Kohinoor Renfors Devon lure designed by artist Antero Laine. The relief on the pedestal is by Artist Jukka Nissinen. Local entrepreneurs shared the expenses of the memorial, unveiled in 2007. The angel, cast in bronze, stands over 2 metres tall. This piece of art refers to the Gospel of Matthew and the moment when the angel descends from heaven and rolls back the stone in front of the grave of Jesus. 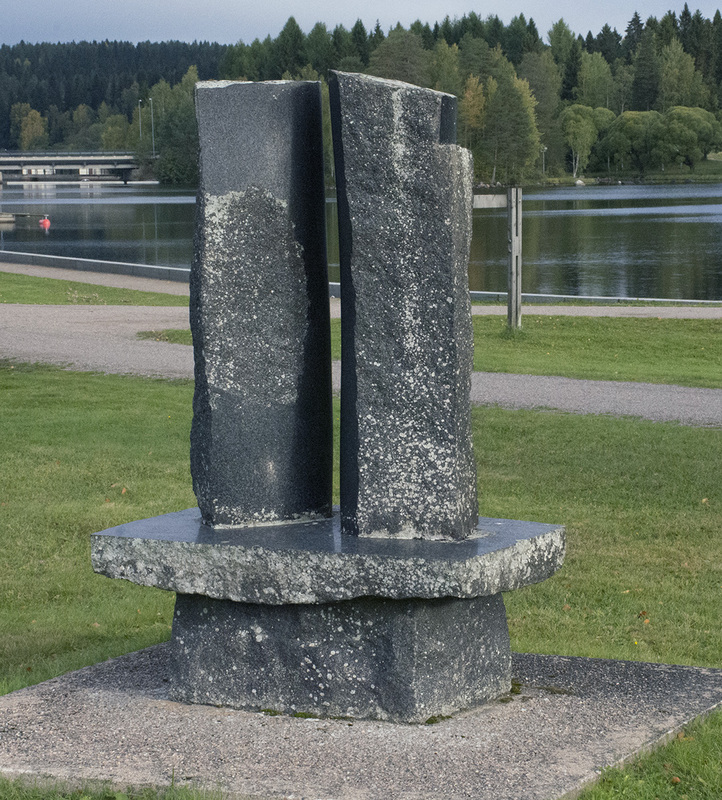 Harry Kivijärvi, 1981, abstract sculpture in diorite. 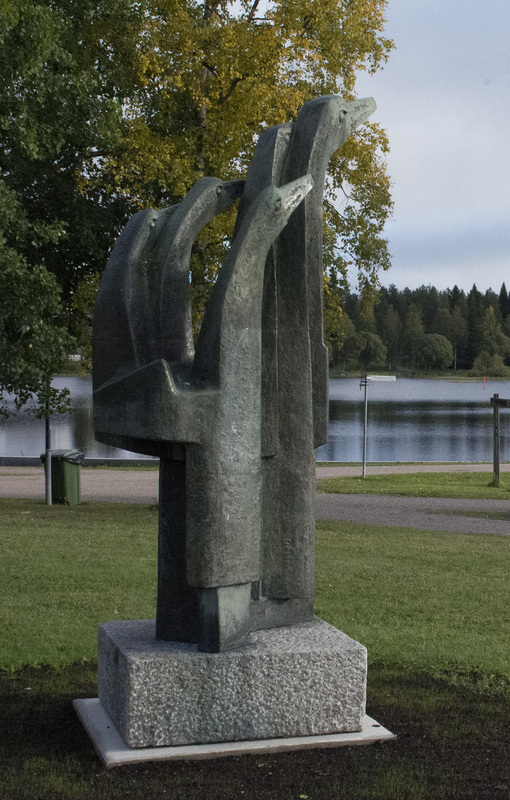 Kajaani acquired the sculpture in 1985. The memorial, in memory of the soldiers who died for their country in the Winter and Continuation Wars during 1939-1944, is 2.3 metres tall and stands on a pedestal of 1.5 metres. Next to the lock-keeper’s cottage and Kalkkisillantie street. A sculpture by Ensio Seppänen, made in 1983, and donated to the town of Kajaani by Vuohenki Association. More than 40 men left the Kainuu region to join the jaegers. The eastern passage for jaegers passed through Kajaani, all the way to Halla in Hyrynsalmi. The inscription in the memorial states: Jaeger movement in Finland 1915 to 1918, for independent Finland. Designed by Erkki Vähämaa, Esko Peittola and two architecture students. Kajaani rural municipality and the town of Kajaani were incorporated in 1977. The inscription in the stone states: Kajaani rural municipality, 1976. An unofficial but a visible and significant anchor memorial of the anchor handling tug era of Kajaani Ltd. When the famous passenger ship Salo II was transferred to Kajaani Ltd. possession, it was turned into a tugboat and renamed Kajaani I. Kajaani I was used as an anchor handling tug in the 1950’s. Later, the ship was sold to forester Jaakko Ebeling. The barrier around the memorial, built in 1975, is actually the ships’s anchor chain. Erected on professor and literary researcher Väinö Kaukonen’s initiative in 1985. The stone, a natural stone from Kostomuksha, symbolizes the connections between the Kainuu region and Karelia. The memorial inscription states: Elias Lönnrot lived in Hövelö in Paltaniemi in 1834. At that time the Kalevala national epic was created. Built in 1955, in memory of the decedents remaining in Karelia, as a project by Karelians in Kajaani, Sotkamo and Paltamo. The memorial stone was inspired by the Karelian Association model designed by Kirsti Liimatainen. Crafted by Matti Koskela in 1975, the reliefs for President Urho Kekkonen can be found on the wall of the school building where Urho Kekkonen used to study. Urho Kekkonen entered the second grade in 1911 and passed his final exams in 1919 at Kajaanin yhteiskoulu co-educational school, later called Kajaanin yhteislyseo co-educational lyceum. There is a relief by Matti Hynynen made in 1980, on the wall of Urho Kekkonen’s home. Urho Kekkonen lived in the building, built in 1906, from 1911 to 1926. A sculpture by Matti Kujasalo, painted iron, 1992. The exhibition ”Sculptures in Kainuu” by the Association of Finnish Sculptors and Kajaani Art Museum was carried out in eight municipalities in the Kainuu region in 1992 and 1993. On the grounds of the former premises of Kainuun Sanomat, the local newspaper, at Viestitie 2. The monument was a gift to the region from the local newspaper, Kainuun Sanomat, celebrating its 80th anniversary. Erected by Kainuun Museoyhdistys museum association for their 50th anniversary in 1980. Louis Sparre lived in Kajaani at the Pyörre estate from 1892 to 1894. He illustrated the lives of the people in Kainuu during the tar period. Located on the grave of 27 Soviet soldiers. 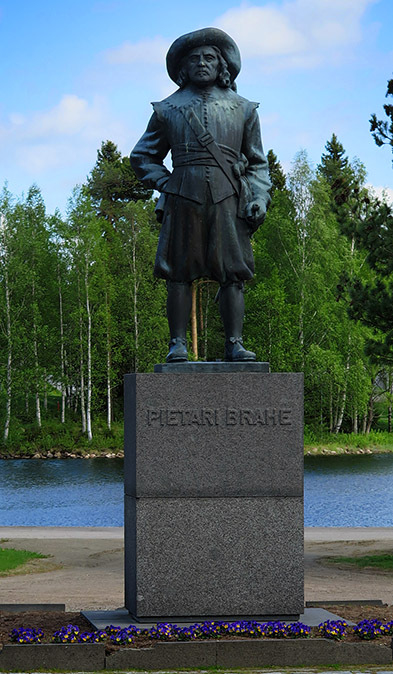 Pietari Brahe founded Kajaani in 1651. The sculpture was formerly located in a town centre school in Kruunupuodinmäki, but was later taken to the market square in 1976 as it was restructured for its 325th anniversary. Downstream of the tar canal, on Kalkkisillantie street. 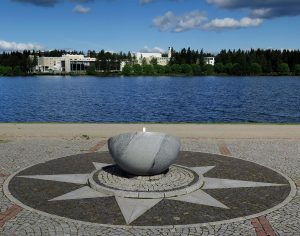 The anchor was placed in its current location by the Northern Military Engineers when the brigade was transferred from Oulu to Kajaani on 25 September 1998. The military engineer battalion took the anchor formerly attached to a rock with them, and carried it through the Hiukkavaara barrack gates in Oulu. The anchor was mounted onto a rock downriver of Ämmänkoski, as the symbol of disembarkation of the battalion. 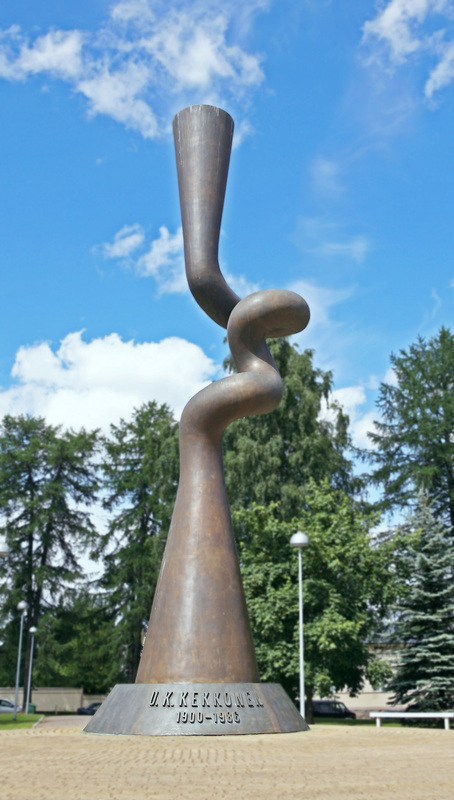 The bronze sculpture is located in front of Restaurant Wanha Kerho (former UPM club house), donated by the sculptor Emil Cedercreutz foundation. Kajaani is the northernmost location for the artist’s work. The pedestal was a gift from UPM Kajaani paper mill. The sculpture stands in honour of Kainuu forestry and tree-harvesting. The Timber Floater sculpture situated in Heinola, Finland, and the On the Way to Logging sculpture were originally sculpted as a pair. The Driller Boy statue sculptured by Matti Lahtinen, located by the railway station, was unveiled on 3 June 2004, on the 100th anniversary of the Kajaani railway tracks. 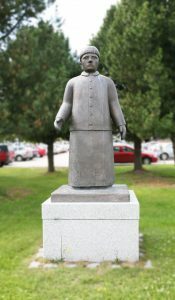 It is a sculpture of a 16-year-old boy who took drill bits to a smith’s workshop for sharpening and then back to the railway construction site for the track builders. The statue is sculpted from a Pikkarala railway station platform kerbstone. In front of the Kainuu Border Guard headquarters, at Rajakatu 9. The memorial stone was erected in 1994 and taken to its current location in 2015, as a result of an initiative by Border Jaeger Battalion 8 war veterans. The stone is an armor stone barrier from the defense line Salpalinja in Kuusamo. The stone features a sprig of oak – a symbol for war veterans. The memorial stone honours the memory of and is dedicated to the Kainuu Border Guard, both past and present members, as well as for the Border Jaeger Battalion. Risti ja liekki (Cross and flame) is a memorial for the second and third churches (1599-1716) of the Paltamo congregation, made in 1967 by Armas Tirronen. 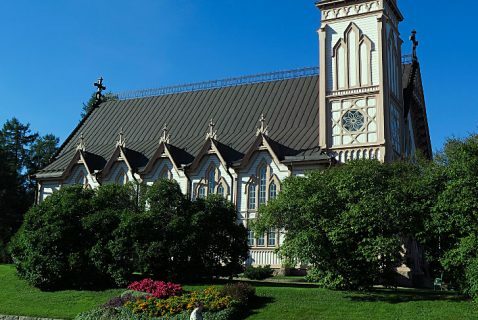 The second church was damaged in an earthquake in 1626 and the third during the Greater Wrath when Russians robbed it and burned it down in 1716. Seven storks cast in bronze by Armas Hutri in 1971. This monument stands in memory of the traders who came to Kajaani from the East. However another interpretation is that the monument is in memory of the first inhabitants of the Kajaani town. Located in Paltaniemi, next to the Paltaniemi Church of Paintings, at Paltaniementie 851. A log memorial honouring the memory of Paltaniemi soldiers. Erected in 2004 by Kainuun Sotilaspoikien Perinnekilta, a soldier heritage guild, in memory of their operations. Cast in bronze by Hannele Kylänpää in 2005, this memorial is dedicated to the most fragile amongst us – the unborn and stillborn babies. Vapaudenpuisto park, by the pond close to Tehdaskatu street. A memorial honouring the soldiers who worked for Kajaani Ltd. and died in the past wars. On the Kajaani Art Museum roof, at Pohjolankatu 31. Located at the Paltaniemi cemetery, close to Valon Kappeli (the Chapel of Light), at Siltalantie 18. 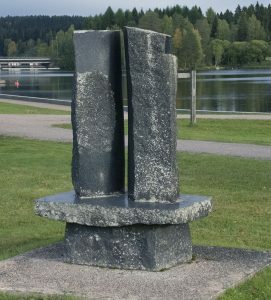 Sculptured in granite by Arvo siikamäki in 1999. The sculpture is 10 metres tall and weighs 5000 kg. It was sculpted in 500-year-old oak by Antal Krupiczer in 1991. Not only did the artist sculpt the wooden parts but also cast the sculpture bell. The sculpture was given to the town of Kajaani as a gift on the 10th anniversary of their twin town operation in 1991, by twin town Nyiregyhaza in Hungary. 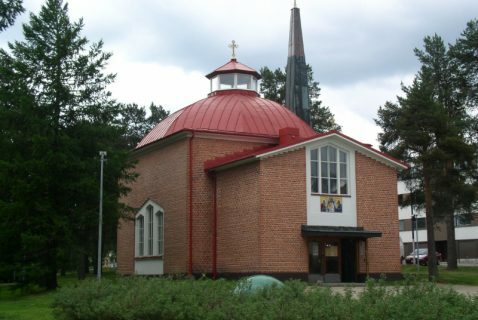 Located at the Urho Kekkonen park (the strip between the Evangelical Lutheran and Orthodox Churches), at Kirkkokatu 18. Cast in bronze by Pekka Kauhanen in 1990, the memorial stands 8 metres tall. The memorial is the first national monument erected for a Finnish president outside of Helsinki. The memorial was unveiled in 3 September 1990, on the 90th anniversary of Urho Kekkonen’s birth. Located next to the Kajaani Town Theatre, at Kauppakatu 14. The bronze statue, cast by local sculptor Kaarlo Mikkonen in 2001, honours the important work of the women in the 1940’s, taking care of homes during the war and the reconstruction that followed. Memorial to those who died for their beliefs in 1918. Erected by the Kajaanin Suojeluskunta defence force as a memorial for those who died in the Finnish Civil War in 1918. Designed by Erkki Vähämaa in 1990. Erected by Kajaani veteran organisations in memory of war veterans. On the wall at the Pyörre estate main building. Designed by Yrjö Vuorio, the relief was unveiled on the 70th anniversary of the Kainuu Museum association in 2000.